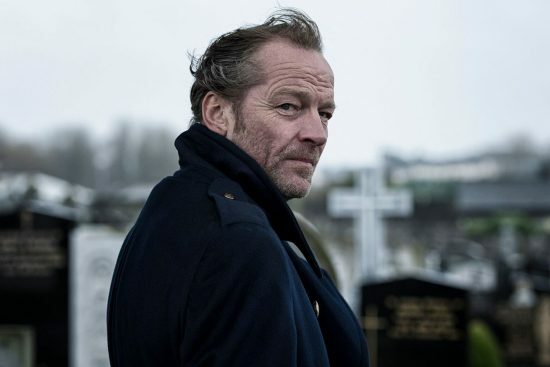 Iain Glen (Jorah Mormont in Game of Thrones) will portray Bruce Wayne in a recurring role on Titans when the DC Universe series returns for Season 2 next autumn. Mark Wahlberg and Connie Britton will star in Good Joe Bell from Brokeback Mountain writers Diana Ossana and Larry McMurtry. Elisabeth Moss, who was in early talks for Universal-Blumhouse’s The Invisible Man last month, is officially on board with the latest rendition of the classic monster character according to Deadline. Invisible Man will shoot in Australia. Glenn Close will join Amy Adams in Ron Howard’s Netflix feature Hillbilly Elegy. The Netflix movie is based on J.D. Vance’s memoir Hillbilly Elegy: A Memoir of a Family and Culture in Crisis, a modern exploration of the American dream and three generations of an Appalachian family as told by its youngest member. Mackenzie Davis has joined Jon Stewart’s Irresistible. She joins Steve Carell, Chris Cooper and Rose Byrne. What if Game of Thrones was part of Westworld? Westeros World Title Sequence from Gilles Augustijnen on Vimeo. Check out some new photos from the set of Birds of Prey. They feature Renee Montoya (Rosie Perez) and Harley Quinn (Margot Robbie).